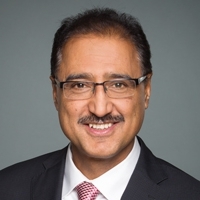 CALGARY-Natural Resources Minister Amarjeet Sohi says the federal government won’t cut corners to speed up a full review of the proposed Trans Mountain pipeline expansion. “We need to make sure that we are not cutting corners. We owe it to Alberta. We owe it to Alberta workers. We owe it to Canadians that we don’t get into the same situation that we got into the last time, which is very unfortunate,” he said.